We spent the weekend of our 11th wedding anniversary at The Legend Villas in Mandaluyong City. We stayed in a premier suite which Rap aptly called, his "home for the weekend." Our unit had an electric stove, a microwave oven, and a rice cooker which I could have used to cook. But since we were there to relax and enjoy the weekend, the boys did not let me cook. We ordered in food instead. The following morning, we headed to the Breakfast Buffet served at Lola Maria. The food did not disappoint us. In fact, my boy had second helpings of their tapa which he ate heartily with fried garlic rice. Seeing how he enjoyed eating at Lola Maria made me happy. We promised to check-in again at the hotel, probably during his birthday. 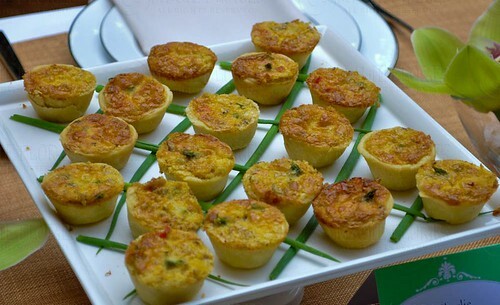 Vegetable Quiche - Baked tender pastry crust with fresh vegetables. A recipe shared by fashion designer, Randy Ortiz. 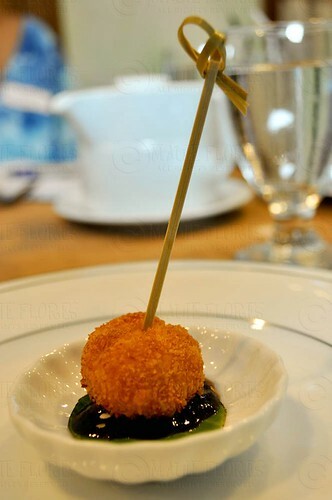 Prawn Cakes - Oriental style minced shrimps coated with bread crumbs, served with hoisin sauce. A recipe shared by show car maker Atoy Llave. Cocido - A favorite of food blogger Anton Diaz. Beef ribs stewed in rich tomato sauce with chorizo and fresh vegetables. 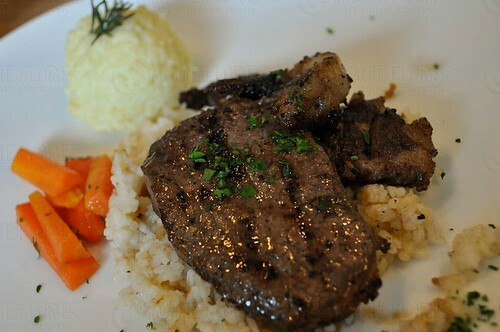 Rosemary and Garlic Rib-eye - Best cut of beef seared and marinated with fresh garlic and rosemary. Recipe shared by actress Ara Mina. 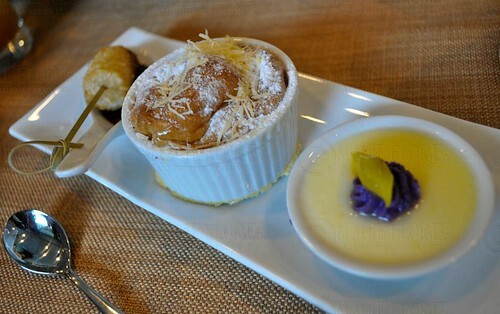 Ube and Langka Panna Cotta by actress Sherilyn Reyes-Tan. Light Italian dessert of fresh cream, flavored with vanilla. Ensaymada Pudding by Ford supermodel grand winner Danica Magpantay. It's day-old ensaymada with custard, baked and topped with queso de bola. 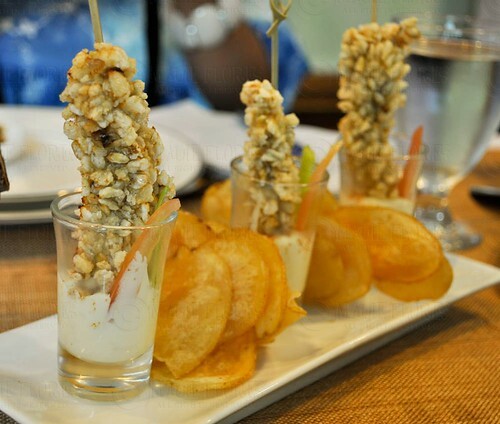 Fried Suman at Tsokolate by actress/host/model Wilma Doesnt. Fried suman sa ibos dipped in creamy tsokolate which very much resembles churros. 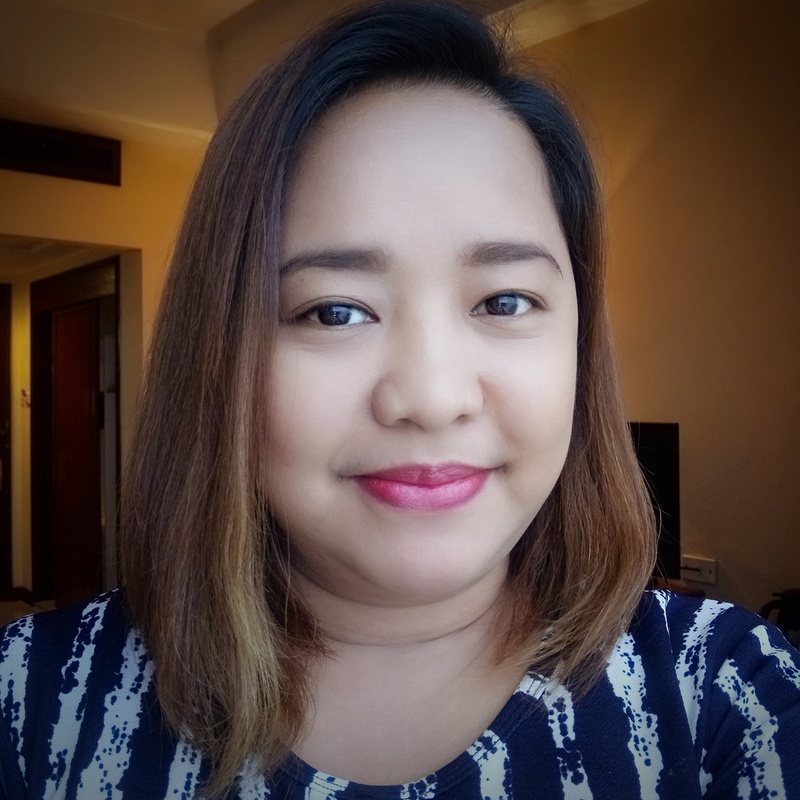 Lola Maria Restaurant is named after the late Doña Maria Villanueva Rosario who is the great-grandmother of The Legend Villas Chief Operating Officer, Ginger King-Villavicencio. Since Lola Maria was from Vigan, the owners of The Legend Villas designed the restaurant with furnishing and interior decoration that are truly Filipiniana. Nevertheless, the restaurant serves Filipino food with delightful twists, as you can see in the new dishes featured above. The restaurant can seat 80 guests at a time and has free WiFi. 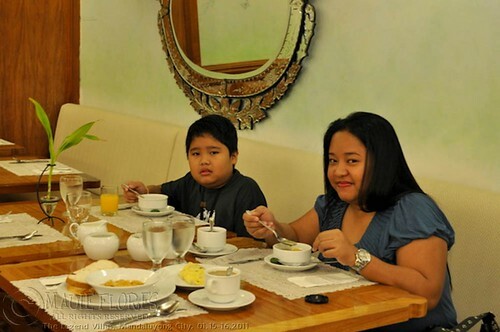 Lola Maria Restaurant serves breakfast buffets daily from 6 am to 10 am and lunch buffets from 11 am to 2 pm. 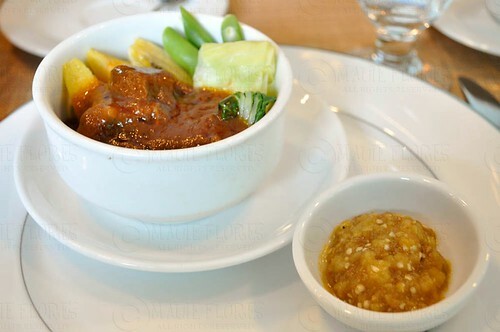 During dinner, guests can order from their ala carte menu which includes their best-selling Kare-kare, Lechon Kawali, Beef Steak, and Chicken Gallantina. The Legend Villas is located along Pioneer corner Madison Streets, Mandaluyong City. For inquiries, interested parties may call Lola Maria Restaurant at (632) 702-2793 or visit www.legendvillas.com.ph.